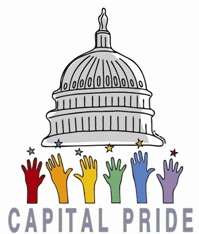 Once again this month, Capital Pride kicked off on May 31 and is keeping their party going until June 14. Every day there is something exciting happening in this city in Washington and they are ready to let the world see exactly what we are all about as a rising community. Friday June 1st: Town Danceboutique. Wednesday June 6th: GAYLARIOUS RIOT ACTS!!! Thursday June 14th: Town Hall: Take Pride in Our Health!! Let’s join this parade as it has only just begun and let’s spread the word.